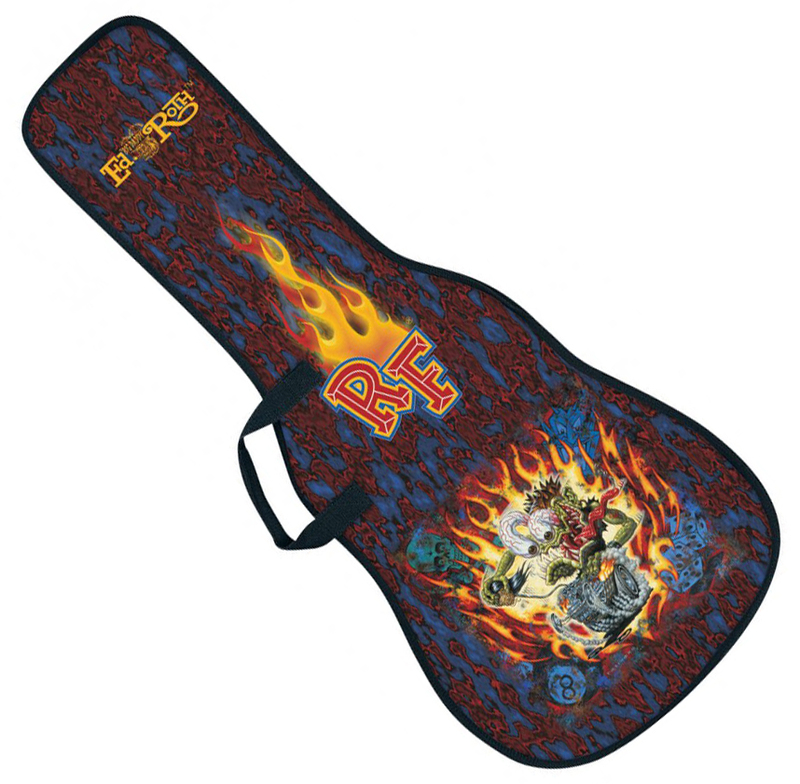 600 denier polyester electric guitar gig bag featuring the Rat Fink(R) art of Ed "Big Daddy" RothTM. Each bag comes with 3/4" foam padding, headliner lining, a manuscript sleeve, an accessory pocket on the back, and dual rubber padded backpack shoulder straps. Inside dimensions: 40" x 16" at lower bout.